For people on the go as well as those with busy schedules, convenience and simplicity are things that are taken very seriously. After all, there are only so many hours in the day, and almost half of those hours are spent sleeping. Sometimes one just needs immediate relief from the stresses caused by a busy day – at work or looking after the kids who are home from school. That’s why CBD Oil Spray is gaining in popularity these days and is the latest addition to many a pocketbook or handbag. CBD, which is gaining popularity around the world for its numerous natural medicinal effects, comes in many different forms, flavors, and strengths; not to mention differing price points. But CBD Oil Spray is certainly one of simplest, fast-acting and convenient options to choose. The great thing about CBD Oil Sprays is that they absorb instantly on the tongue, leaving no residue or nasty aftertaste. The CBD quickly enters the system via the various membranes in the mouth and that makes the effects come on a lot quicker. Think of CBD Sprays as a type of all-natural, totally organic Rescue Remedy for when the stresses of life get on top and leave you feeling flummoxed. With the stronger CBD Oil Sprays, no more than two quick sprays to the mouth are all that’s needed to noticeably reduce stress levels within minutes and sometimes seconds. Some people report that CBD Oil Sprays also offer relief from tension headaches, while others claim that they use CBD for weight loss. The main thing to consider, as well as taste and price, is the CBD Concentration within the CBD Oil Spray you opt for. Rookie users are advised to start slow and go for a 60mg concentration. 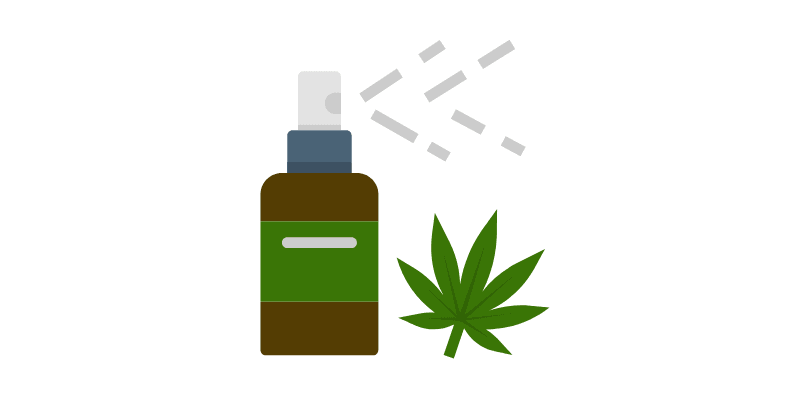 More advanced users may feel stronger effects by opting for sprays that contain an 80mg or even 100mg CBD Concentration. CBD Sky is one company that has been bringing best-quality CBD to the market for many years. They pride themselves on offering their customers top-notch products as well as fantastic customer service, and their CBD Oil Spray is one of their most popular products at the moment. As well as providing full, clear and transparent sample certificates of analysis for all their products, CBD Sky CBD Oil Spray, in particular, is Gluten-free, Non-GMO and Vegan-friendly. With 100% bio-availability, this spray absorbs quickly into the system, providing immediate relief when it’s needed most. 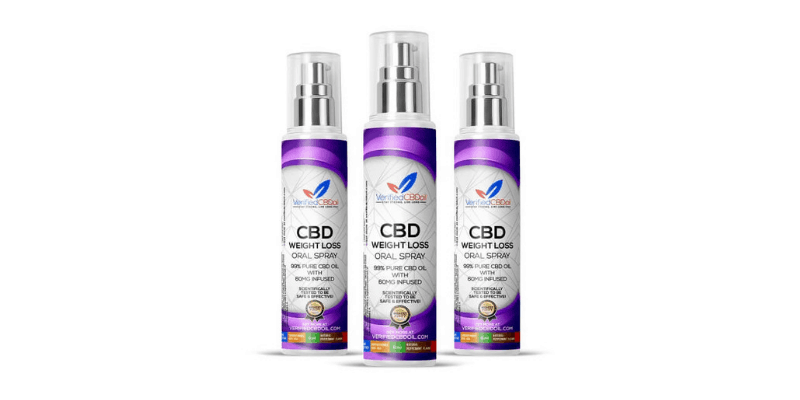 CBD Sky assures their customers that oral absorption of concentrated CBD is about more than just fast relief though. Taking CBD orally in this way means that the body extracts the healthy nutrients from the spray more effectively than with other methods. Many people experience an immediate sense of calm when using this CBD Oil Spray, and if used right that sense of wellbeing can last all day. Sky recommends up to six sprays per dose for adults but as the product is totally non-toxic, it can be used more like a Rescue Remedy as and when needed. 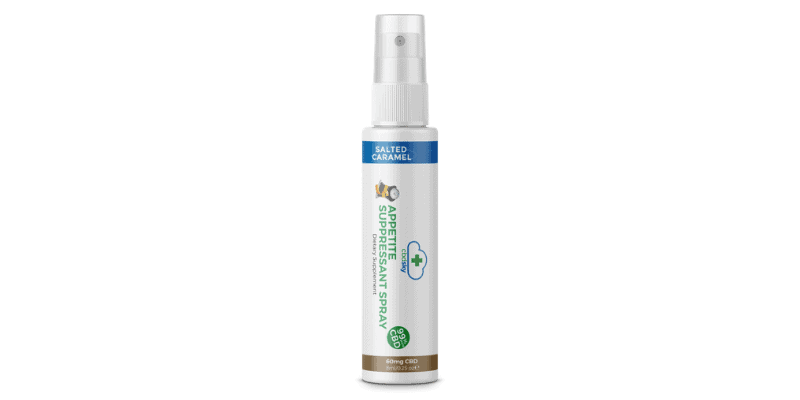 They tout the benefits of this spray as being good for fighting stress and for anxiety. Their 60ml spray bottle of 8mg CBD Concentrate packs a punch although you wouldn’t know it from the delicate and delicious mixed berry flavor that keeps people coming back for more. Another great thing about Sky CBD is that they ship to all 50 states in the US as well as worldwide, and their packaging is discreet with fast shipping times. Global shipping insurance is also an option with Sky CBD, and they proudly offer a full, no questions asked 30-day money-back guarantee. 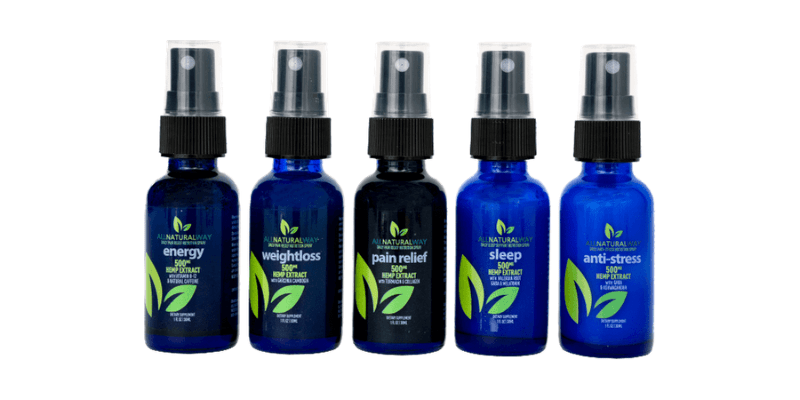 The All With Nature Sleep Spray, made with CBD Oil, does exactly what it says on the bottle. This product is designed for those who suffer from sleeplessness or some form of Insomnia – whether temporary or long-term. Integrating this spray into your nightly routine is a great way to ensure you’re getting the best quality sleep possible. Everyone knows just how important a good night’s sleep is and those who suffer from Insomnia on a regular basis will tell you it’s no fun. When laying there in bed and trying to get comfortable becomes overbearing, many reach for their All With Nature Sleepy CBD Oil Spray for a sound sleep within minutes. This CBD product differs from many others as it contains other ingredients, expertly-blended for that perfect night’s sleep. As well as totally organic and natural Hemp-derived CBD Oil, there’s Valerian root, Magnesium Gluconate, GABA and the hormone- melatonin in the mix; all of which are associated with sleep. This sleek 30ml spray bottle contains 500mg of CBD and offers 16.7mg of CBD per dose. The spray is THC-free and while safe, non-toxic and effective, is also made in the USA. The ingredients inside this spray compliment the effects of the CBD perfectly as they penetrate body and mind allowing you to drift off into a peaceful and deep sleep. Research shows across numerous studies that CBD helps to calm nerves, fight pain and relax the mind. When you combine that great power of nature with ingredients like Valerian root, it makes the effects even stronger and longer-lasting. If you have issues with sleeplessness and need immediate action to get to sleep, Hemp Extract CBD Sleep Spray from All With Nature is a natural choice. When it comes to using CBD for weight loss, Verified CBD Oil Spray is an excellent choice. With zero-THC, this products is totally organic, Gluten-free, non-GMO and Cruelty-friendly. According to Verified CBD, their 0.25oz bottle of 60 mg, 99% pure CBD oil with 60% HCA, can reduce calorie intake by up to 25% but that’s not all, as the high-quality CBD also balances the immune system and the digestive system and promotes a sense of calmness and wellbeing. Another great feature of this product is that it works immediately due to being taken sublingually and its proven formula’s SuperCitrimac 60% HCA will keep you feeling satiated and full throughout the day. HCA promotes fat burning and is perfect for people who like to keep fit as it enhances performance during exercise or when working out. While some people choose fad diets and things like intermittent fasting to lose weight, supplements like HCA, especially when used in conjunction with CBD can actually make your body burn fat even while you’re sleeping, while you’re left feeling calm and collected throughout your day. With five-star reviews from at least 88 satisfied customers, Verified CBD’s CBD weight loss spray is definitely one worth having in your arsenal, and when combined with a healthy lifestyle, nutritious eating and regular exercise can be the perfect combination. This easy-to-carry and totally discreet CBD Oil Spray can be popped in your handbag or your shirt pocket and will give you the extra help you need when it comes to the tricky business of weight loss. When deciding which CBD Oil Spray is the best one for you, take into consideration what your goal is – be it for improved sleep at night or to assist with weight loss – make sure you buy the CBD Spray with the right CBD concentration and other ingredients that work well for you.